Chiasso, Switzerland (Sept. 18, 2018) – Founders behind popular Swiss-based decentralized digital asset-backed lending platform ETHLend, today announced the launch of Aave, a new technology company focused on empowering people through innovation. The name Aave, which comes from the Finnish word for “ghost,” was chosen because the brand continues to intrigue users through its evolving and imaginative technology. The technology-based venture intends to fill the gaps left by centralized fintech industry players such as PayPal, Skrill, and Coinbase, by introducing new products and services, such as Aave Pocket, Aave Lending (SaaS), Aave Gaming, Aave Custody, and Aave Clearing. The executive roles will remain the same with ETHLend becoming a subsidiary brand under Aave. Stani Kulechov will stay on as CEO, Jordan Lazaro Gustave as COO, and Nolvia Serrano as CMO. Mika Söyring will join as CFO and Ville Valkonen as CCO. Mika previously served as the CFO of health technology company Revenio Group Corporation (formerly Done Solutions Corporation), and has extensive experience as an entrepreneur and a financial specialist. Ville previously operated a legal consulting firm that focused on start-ups in Finland and also worked for law firms, focusing heavily on SMEs and providing counseling on contract matters. 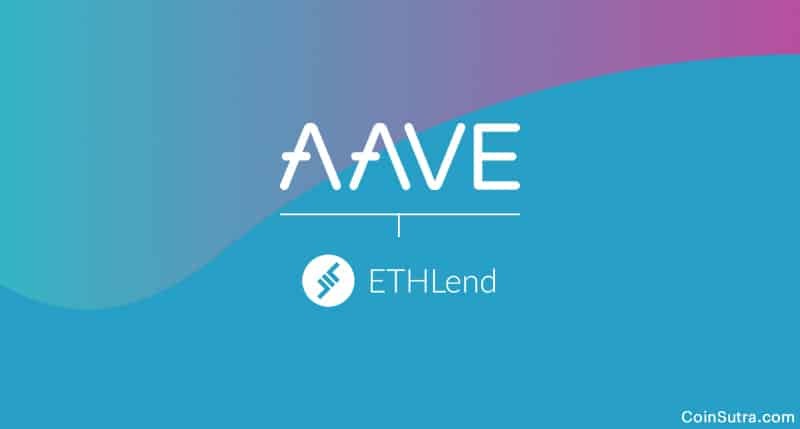 Aave Lending, inspired by ETHLend, is a turnkey solution for the digital asset-backed lending market. Aave Lending solves the issues that follow digital asset storing and digital asset-backed loan management for creditors. As a SaaS (Software-as-a-Service) solution, creditors can easily start a digital asset-backed lending business while Aave takes care of secure collateral storage, notifications, and liquidation upon margin calls. Aave is a Swiss-based technology company founded in 2017 by Stani Kulechov, focused on empowering people through innovation across all industries through the development of decentralized and hybrid blockchain applications. Aave has an extensive list of products that range from ambient accounts, lending software, custody and payments services to blockchain-based games and developer tools. The team behind this technology-based venture is a multicultural group of creatives who hold transparency, security, and trust at their core.